Padi freediver, freediving course, padi freediving, - Scuba Diving Gear, Classes and Dive , snorkel Charters. Skin diving is snorkeling while making breath-hold dives to observe aquatic life, up close and personal. It's a great way to explore the underwater world when you're not able to scuba dive or if scuba diving just isn't your thing. It is also less intensive than the PADI freediver courses, allowing you to get close to marine life without pushing your depth limits. Classes are held on Fridays, with Class/Pool in the morning, dive in the afternoon -or- Class/Pool Friday evening, dive Saturday morning. Private scheduling available upon request. Personal Mask, Snorkel, and Fins required for the course. Sign up for your Skin Diver class right Now. 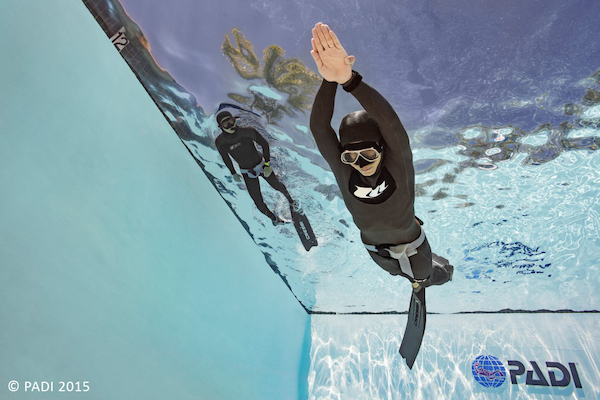 What's the difference between PADI Freediver and Basic Freediver? The PADI Basic Freediver course is a subset of the PADI Freediver course. It's a great first step for developing solid freediving skills. You learn basic freediving principles and focus on practicing breathhold techniques in a pool or confined water site. There are no Open Water sessions, but allows for those between 12 and 15 to start the PADI Freediver process. To enroll in a PADI Basic Freediver course you must be 12 years old or older. You need adequate swimming skill and need to be in good physical health. No prior experience with snorkeling, skin diving or freediving is required. The knowledge development starts with independent study through the PADI Freediver Touch which focuses on introducing the diver to freediving principles. This is reinforced with a 1/2 day classroom session with your instructor that covers equipment, technique, and safety. The confined water session takes place in the Dixie Divers pool. During this 1/2 day period, you will learn breathhold techniques that apply to static and dynamic apnea. Goal - static apnea of 90 seconds and dynamic apnea of 25 metres/80 feet. We end the day with proper finning and entry techniques and an introduction to safety procedures. PADI Freediver Touch Course Manual, Mask, Snorkel, Fins, and Weight Belt with Weights. Wetsuit and Timing Device (Digital Watch or Freediving Computer) are recommended. Sign up for your Basic Freediver class right Now. 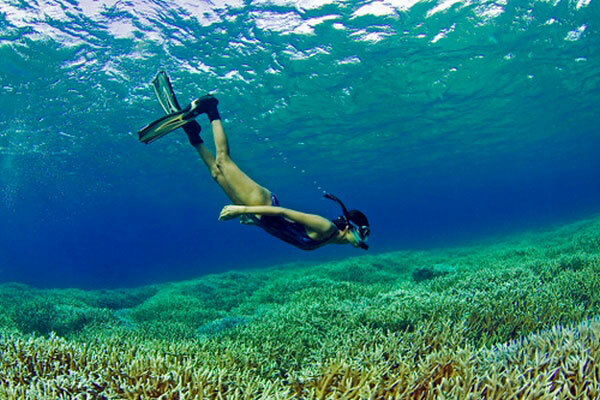 Freediving is any form of breath-hold diving without the use of a breathing apparatus. Freediving is about inward power, discipline and control. If you've always wanted to enter the underwater world quietly, on your own terms, staying as long as your breath allows, then freediving is for you. Taking the PADI Freediver course is your first step toward discovering why freediving is becoming a popular way to explore beneath the waves. Introducing the diver to freediving principles. This is reinforced with a 1/2 day classroom session with your instructor that covers equipment, technique, and safety. The class concludes with the open water sessions to practice free immersion and constant weight freedives, plus proper buddy procedures. Goal - The first dive session has a constant weight freedive goal of 10 meters/30 feet. The second session has a constant weight freedive limit of 16 meters/52.5 feet. Classes are run monthly on Friday for Class/Pool and Saturday for Open Water Dives or Saturday for Class/Pool and Sunday for Open Water Dives. We also offer Private classes to fit your scheduling available upon request. 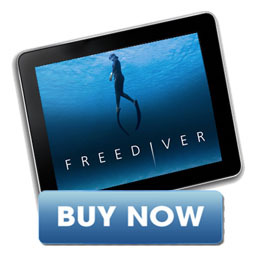 Sign up for your Freediver class right Now. Welcome to PADI Advanced Freediving!! * On Friday 5:50 to 8:00 Pm We do Knowledge development about advanced freediving techniques and equipment. 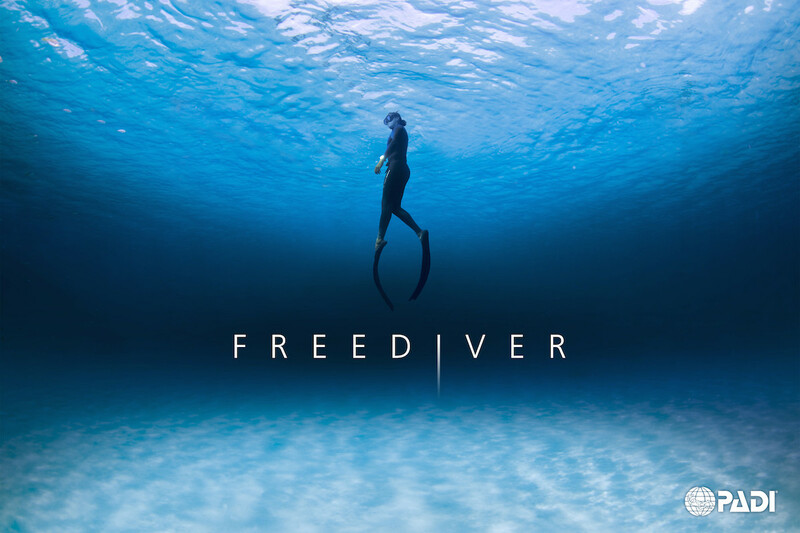 You©ll study independently using the PADI Freediver Touch© (or your instructor may conduct class sessions if not available in a language you understand). Equipment: You need to have a freediving mask, snorkel, bifins, wetsuit and weight belt. Your instructor may allow you to use monofins. You©ll also need a surface signaling device, freediving computer (or depth gauge and timer) and Freediving Safety Lanyard . Call us for any question about the gear you©ll use during this course and get advice about what you need from your PADI Advanced Freediver Instructor. About Instructor Robert King: Robert set his first U.S. record in 2007©Constant Weight No Fins (CNF) 48m©and began teaching freediving. In 2008, he set two more U.S. no-fins records, became the U.S.© first AIDA Freediving Instructor, and won the prestigious Triple Depth competition in Dahab, Egypt. It was in 2009, however, that Robert caught his stride, breaking records in the remaining competition depth disciplines of Constant Weight (CWT) and Free Immersion (FIM), and in 2010 became the first American to reach 90m (297 feet) under his own power, without the use of air tanks, weighted sleds, or motorized scooters. In mid-2010, Robert put competitive diving on hold to pursue a Masters of Science in Finance degree at one of Europe©s most prestigious business schools (France©s EDHEC), but he returned to take 6th place overall in the constant no fins event at the 2011 AIDA Depth World Championships in September of 2011; Robert completed his Masters degree in December 2011, graduating in the top 5% of his class. Enjoying both training and competition, Robert set three U.S. freediving records in 2012, and placed third overall at Vertical Blue, the largest individual freediving competition of 2012 (at Dean©s Blue Hole, Bahamas). In December 2012, Robert was elected Vice President of AIDA International, the international governing body for the sport of freediving (where he has served on the Executive Board since 2010). Robert returned to competition in 2014, and in 2015 placed fourth overall at Vertical Blue, setting his 21st United States record in the process. Private Class : $2200.00 on your on time, your pool if want in your boat. All to Attention to you only to achieve your goal.